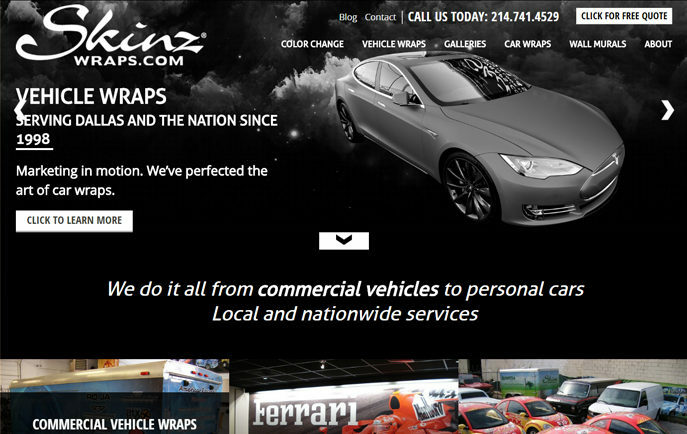 As the premier innovator of the vehicle and auto wrap industry, we have spent a decade perfecting our craft as a full service vehicle wrap company, specializing in car wraps, auto wraps, truck wraps, boat wraps, building wraps, musical instrument wraps, and more. 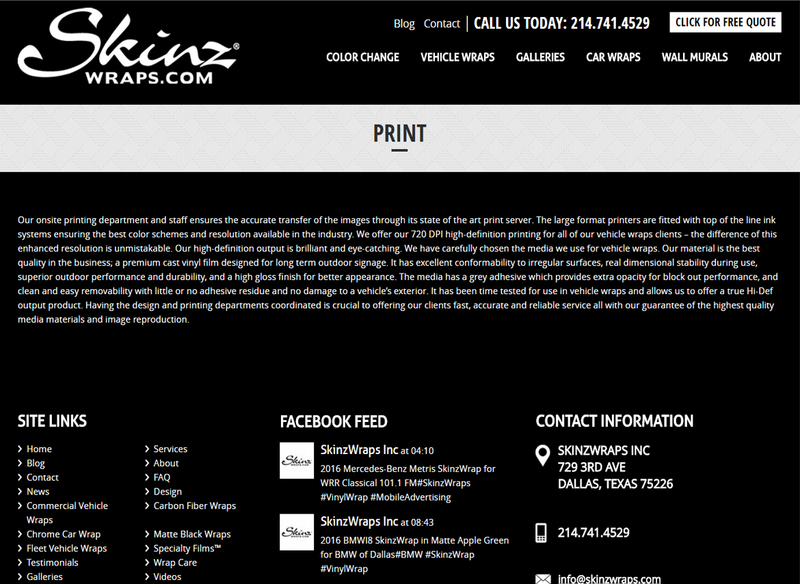 SkinzWraps™ transforms your car, vehicle, or fleet into moving billboards for your business. 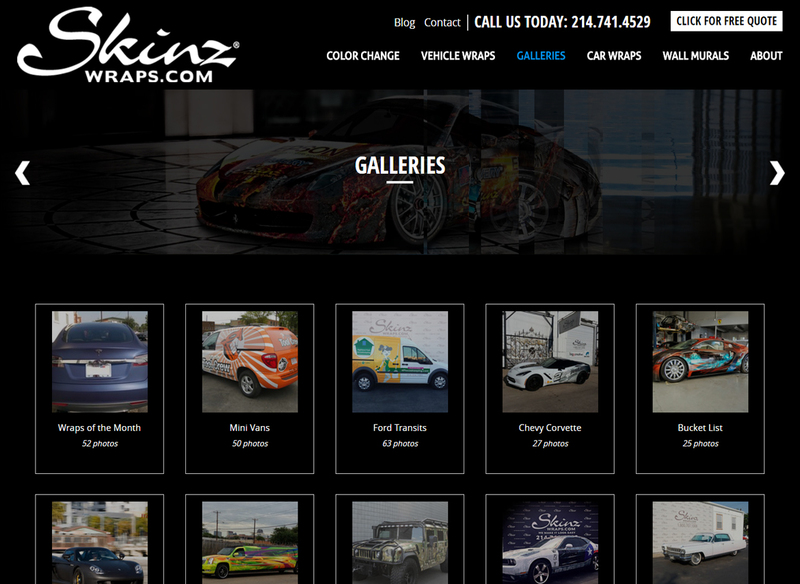 A SkinzWraps™ vinyl wrap is a cutting edge branding tool that attracts attention to your business and helps you stand out from all competition. 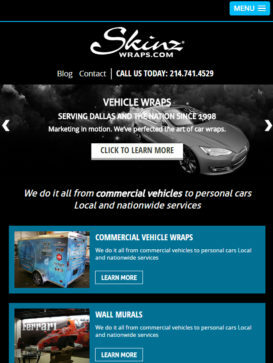 Turn your property into eye-catching mobile advertising machines! 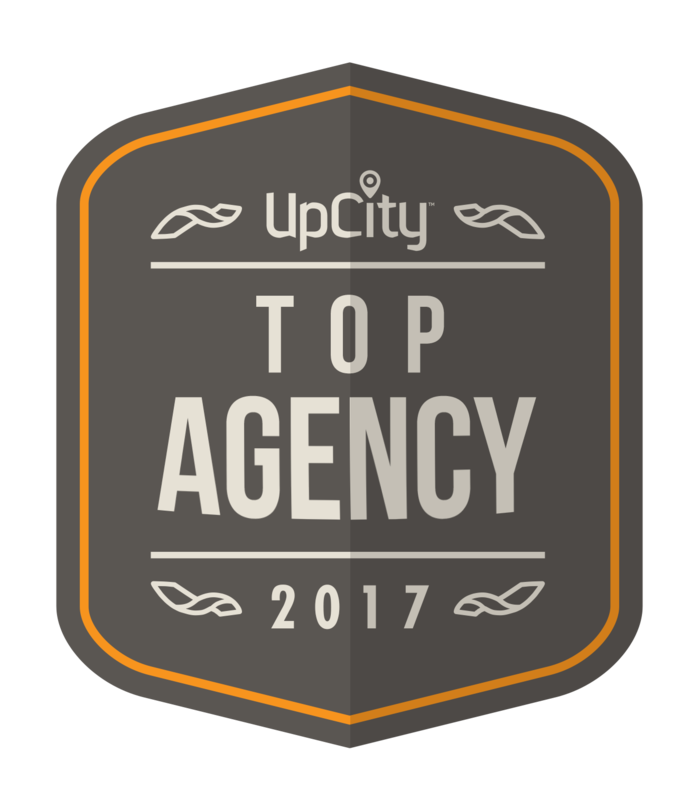 Since 2001, our in-house team of marketers, designers, and installers has operated entirely in-sync; spending meticulous hours calculating, developing, and enhancing the desires of the market, as well as each individual client. 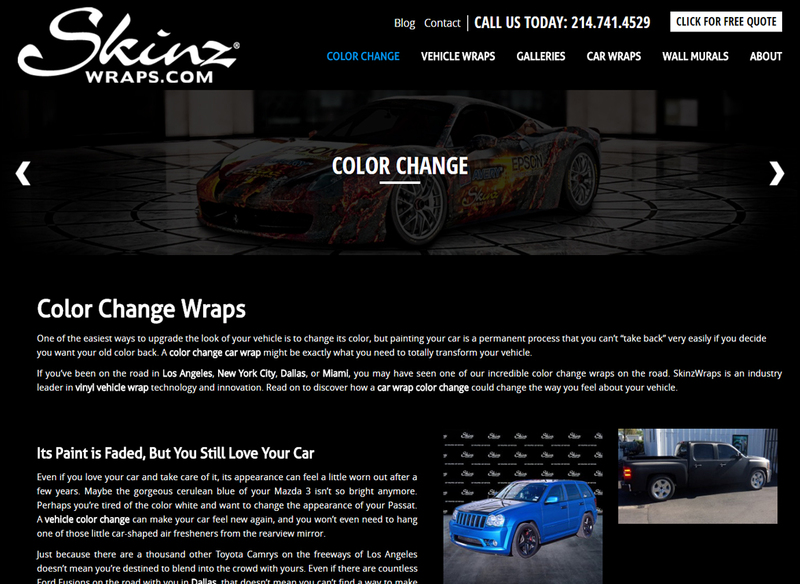 SkinzWraps was first to become the leading experts in the Matte Black vinyl car wrap, and has continued to push the envelope in quality and creativity for the vehicle wrap industry.